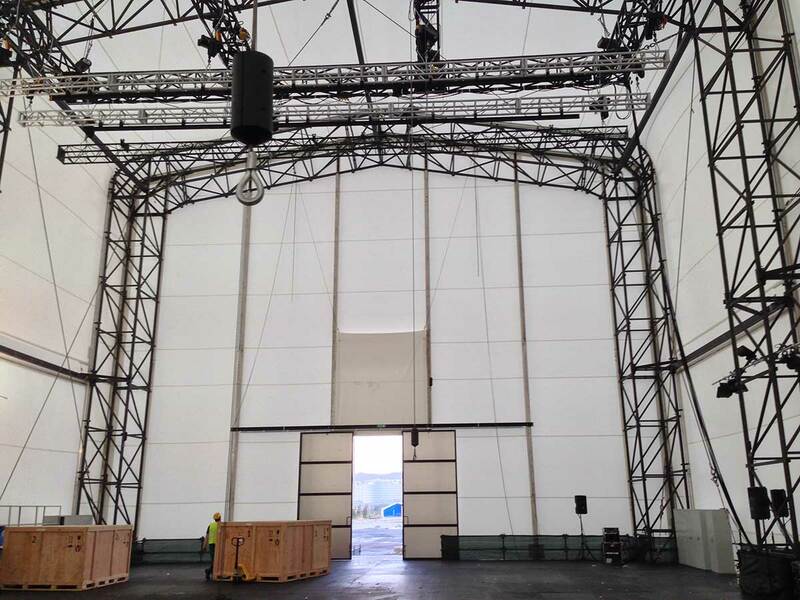 A large demountable structure was required in order to provide an aerial rehearsal venue for the Sochi 2014 Winter Olympics Opening and Closing Ceremonies. 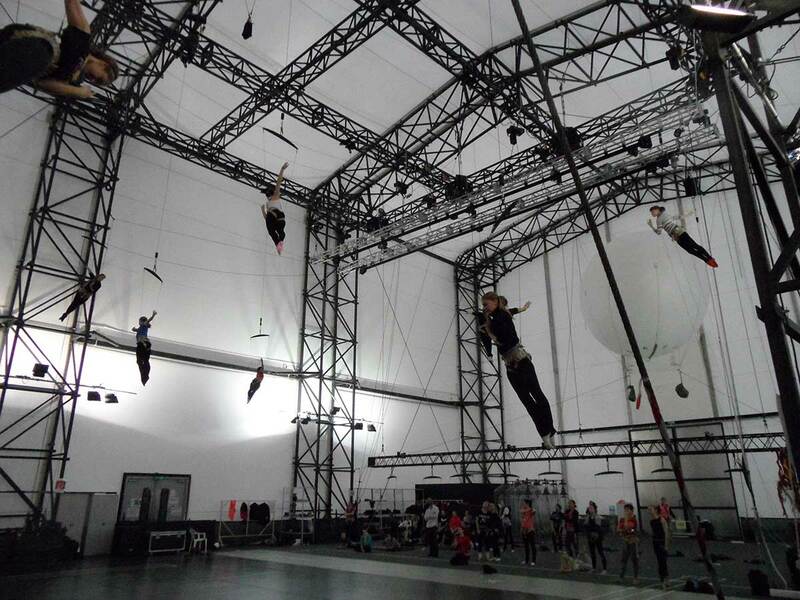 This is the first time that a fully self-contained unit has been provided for the aerial artists. 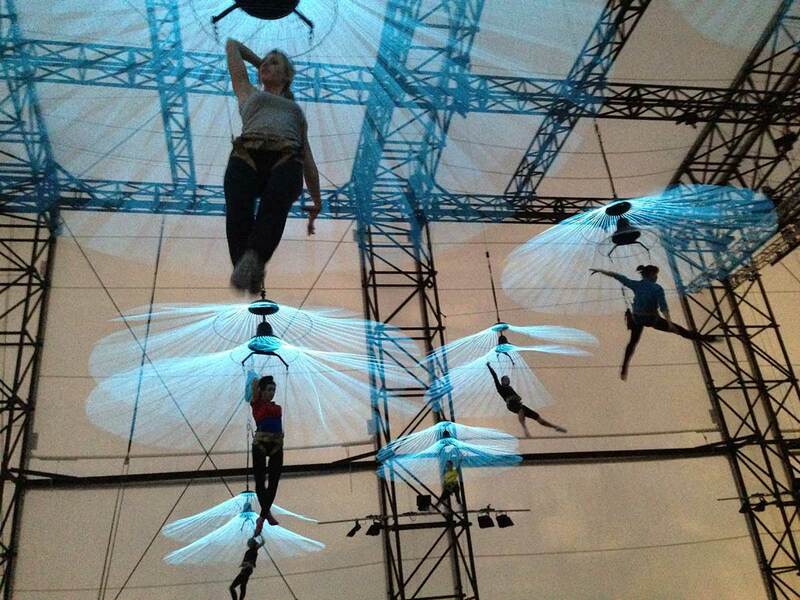 For previous ceremonies, the aerial acts have shared an overall general rehearsal space. Inside the structure a 20m x 15m fly rig was installed and raised by 12 motors. This flying rig enabled FX Flying to install their winch/aerial flying system for the artists to practice with. 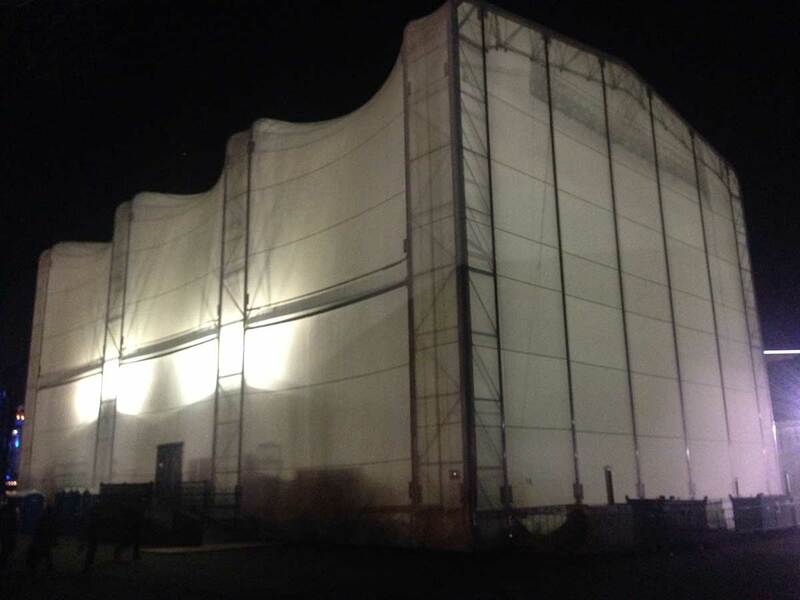 The structure comprised of two separate pedestrian entrances and a 5m x 4m clear opening for set use. 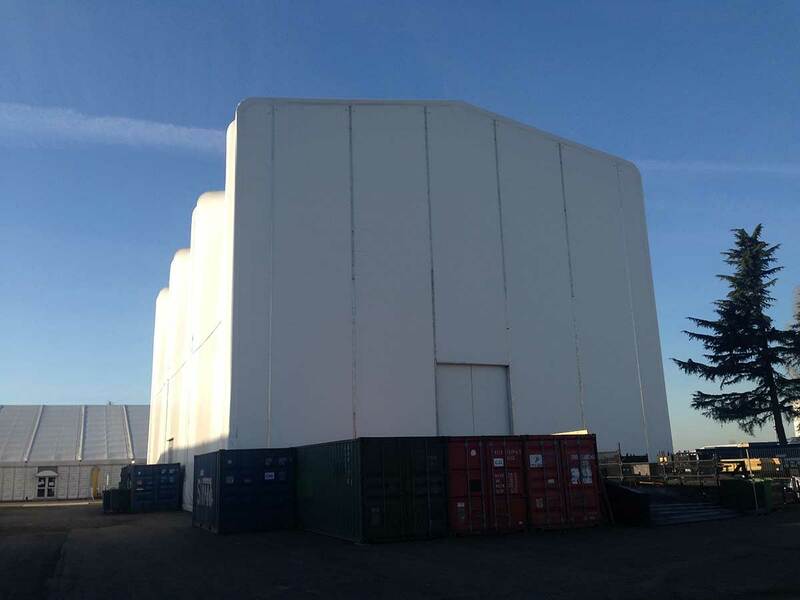 ES Global’s Role – ESG was contracted by the Ceremonies Staging Agency to design, engineer, build and de rig the structure.